the holiday where I don't cook anything, I don't drive anywhere, my family stays home, all my friends come over, and I burn more calories than I consume. 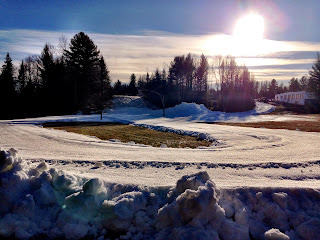 The skiing is beautiful in Craftsbury! The dining hall is bustling with teams here for their Thanksgiving training camps. While the rest of the GRP is in West Yellowstone for the SuperTour openers, I am holding down the fort with fellow biathletes Mike and Ethan as we prepare for IBU Cup trials in Minnesota in December.